BASF’s R-M brand announced the reopening of its completely renovated Refinish Competence Center in Maarssen, Netherlands on June 15. More than 100 R-M customers came to Maarssen to celebrate the opening. 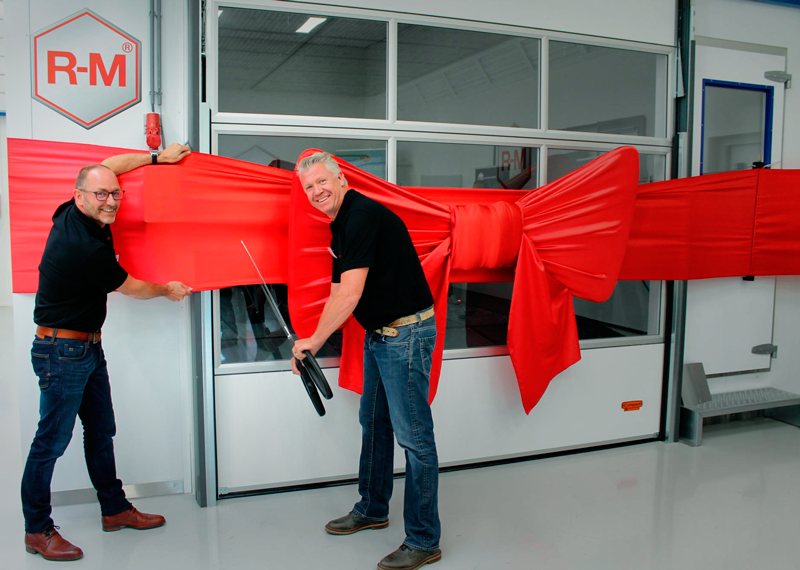 At the beginning of the evening event two technical specialists, Gert-Jan Kraan and Marc Nauta, opened the Refinish Competence Center by cutting an extra large red bow that was wrapped around the spraybooth. During the renovation, which began late last year and was ready at the beginning of this year, a new spraybooth with high panorama windows has been installed.